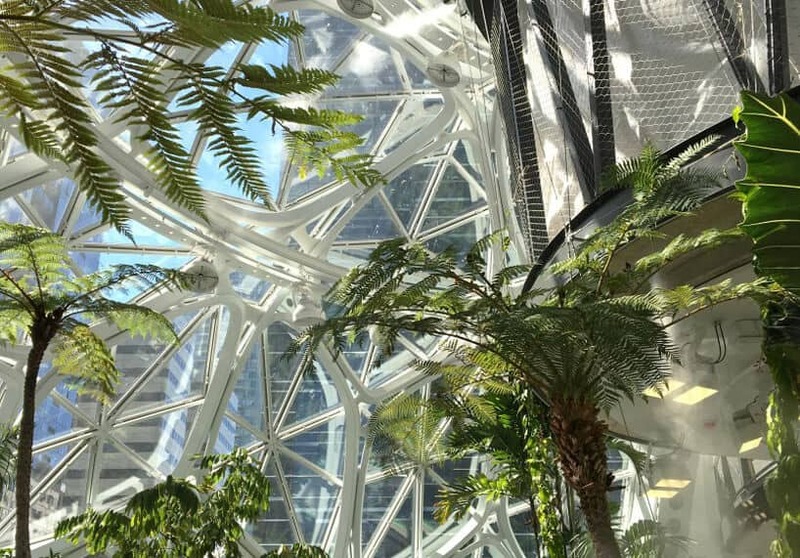 A $4 billion downtown Seattle office project from Amazon will open today, revealing a mini rainforest – dubbed the Amazon spheres – contained within three biosphere domes. 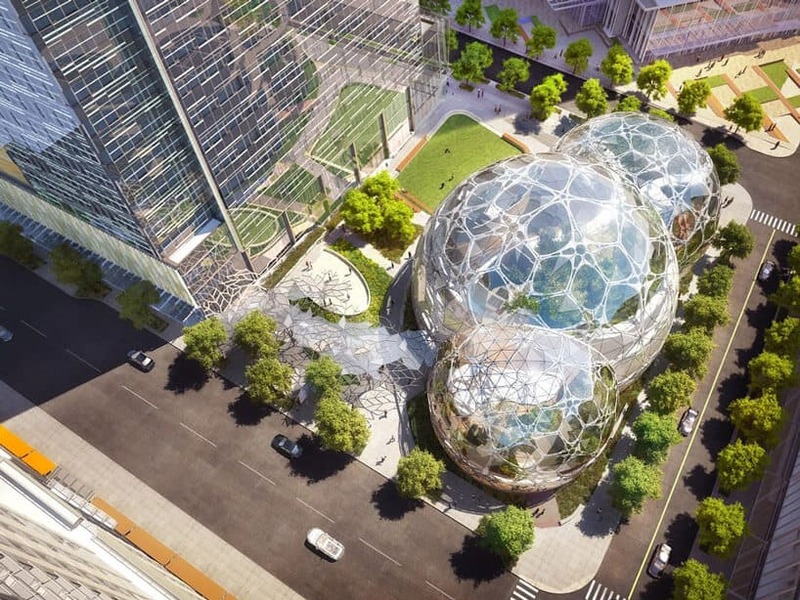 Named ‘The Spheres,’ the glass orbs have no enclosed offices, conference spaces, or desks, and will be a place for Amazon workers to escape from the drudges of everyday office life. Employees can meet in tree houses suspended under towering trees or walk along stone paths beside waterfalls decorated with some 400 species of plants. 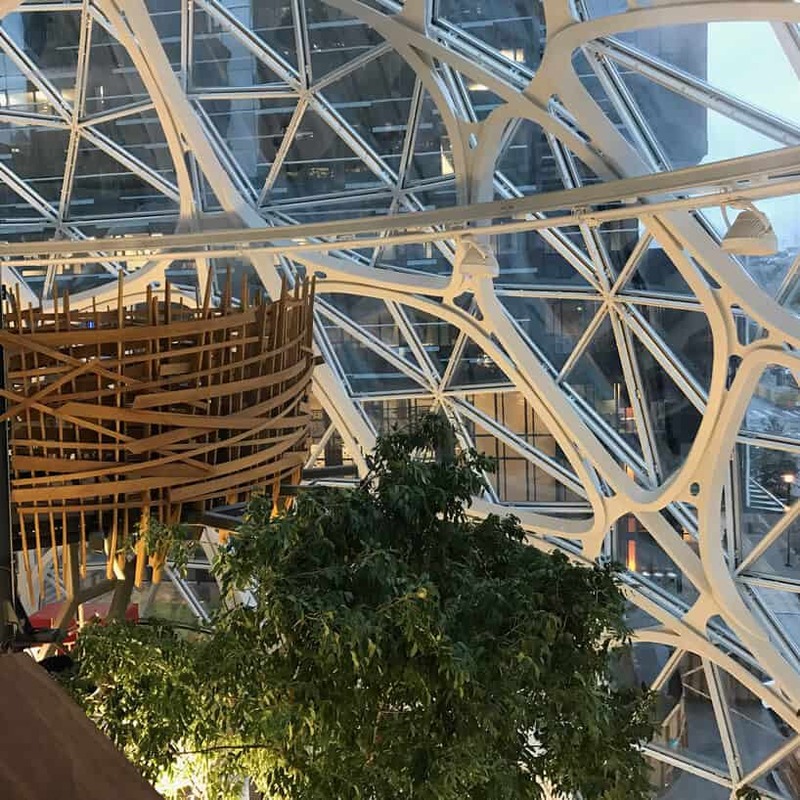 Following seven years of planning, at an unveiling event, today Amazon CEO Jeff Bezos took to the podium to introduce the firm’s new Seattle spheres office space. 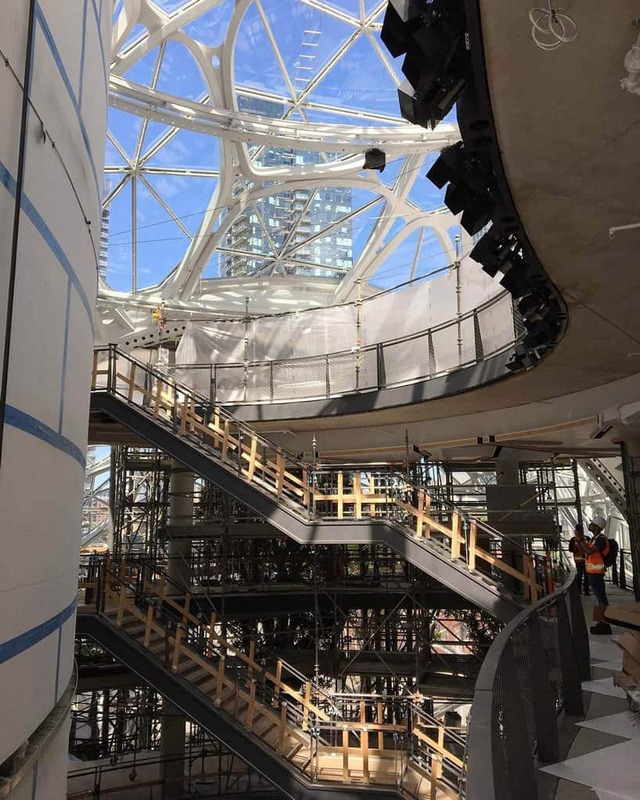 The HQ comprises of three steel-framed, glass-enclosed spheres – the tallest of which is 90 feet tall and 130 feet in diameter, Bloomberg News reported. They are home to more than 40,000 plants from around the world creating a tropical-like environment and botanical immersion amongst the urban Seattle landscape. 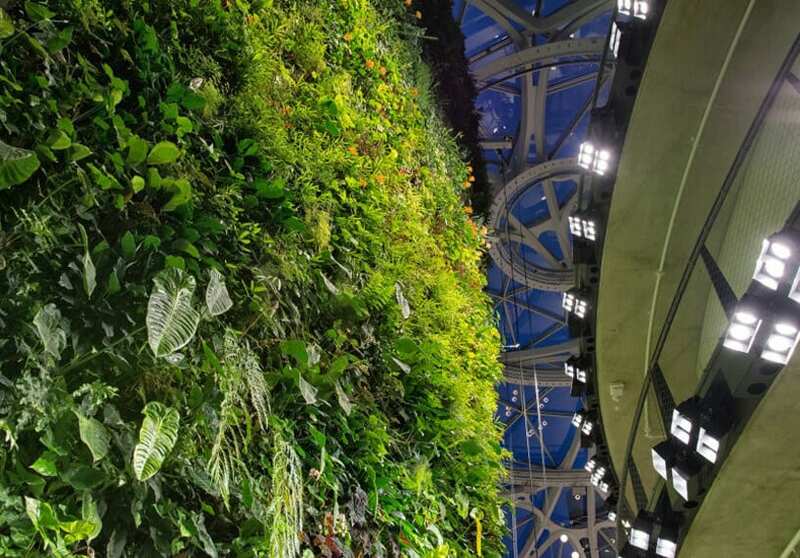 As well as tree house meeting rooms, rivers and waterfalls, across the three biospheres main features include a four-story living wall, paludariums, and epiphytic trees. the climate of the mini-rainforest will be controlled, being held at a constant 72 degrees while the humidity will be 60%. There is even a ventilation system that simulates an outdoor breeze. 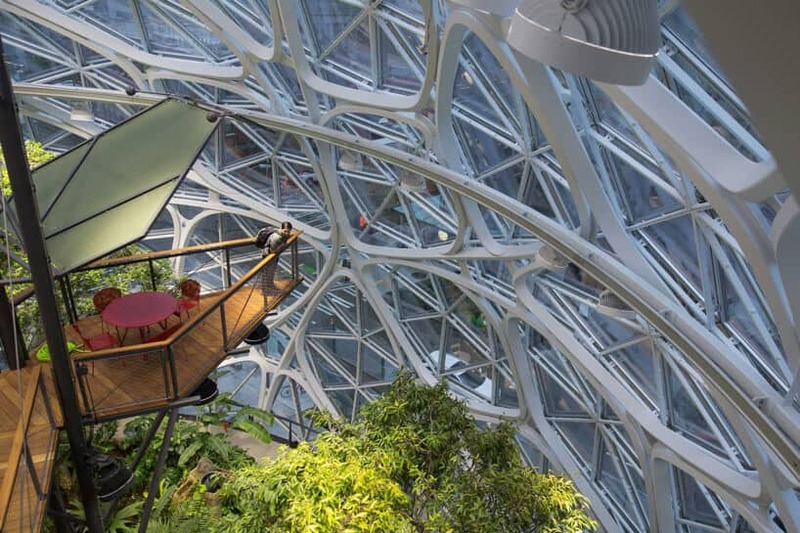 The spheres are a result of amazon’s studies into the improvement of office spaces by linking them to nature. 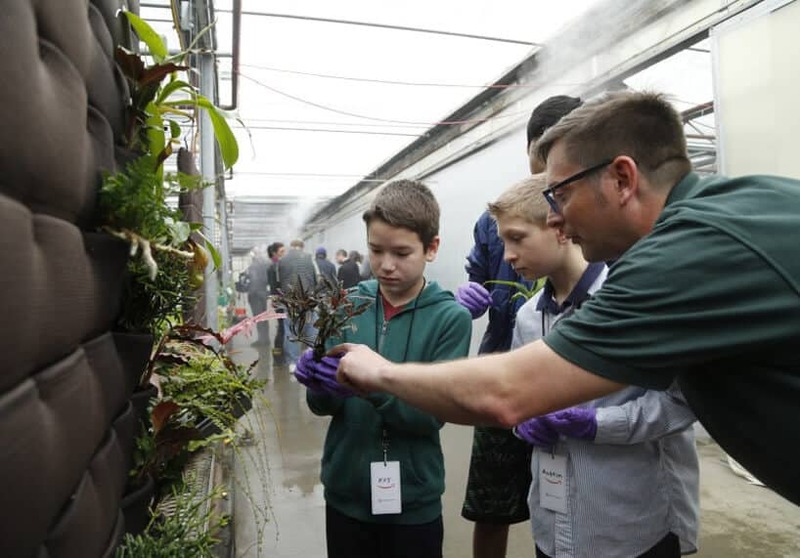 Said to have created more than 600 full-time jobs, the project will also provide educational opportunities to the Seattle community through tours, field trips and partnerships with local schools and universities. 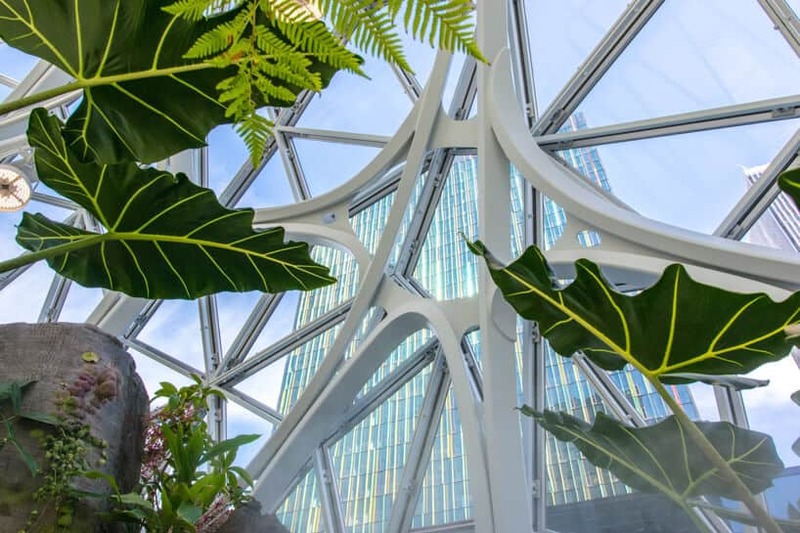 The project has been designed by international firm NBBJ during the application process three years ago, also responsible for amazon’s HQ1, which is also in Seattle.